A young mum who was left unable to walk after inhaling Nitrous Oxide has officially spoken for the first time since leaving hospital. Olivia Golding was rushed to Bristol’s Southmead Hospital four weeks ago after waking up and realising she couldn’t move. And doctors have told her that by inhaling the deadly gas, known as NOS, she has damaged the top of her spinal cord, and may NEVER be able to walk properly again. The 24-year-old says taking the drug has ruined her life and is issuing a stark warning to others who are considering inhaling NOS to ‘think of their families’. She said: “If anyone out there is considering taking this drug, please, think about your families. 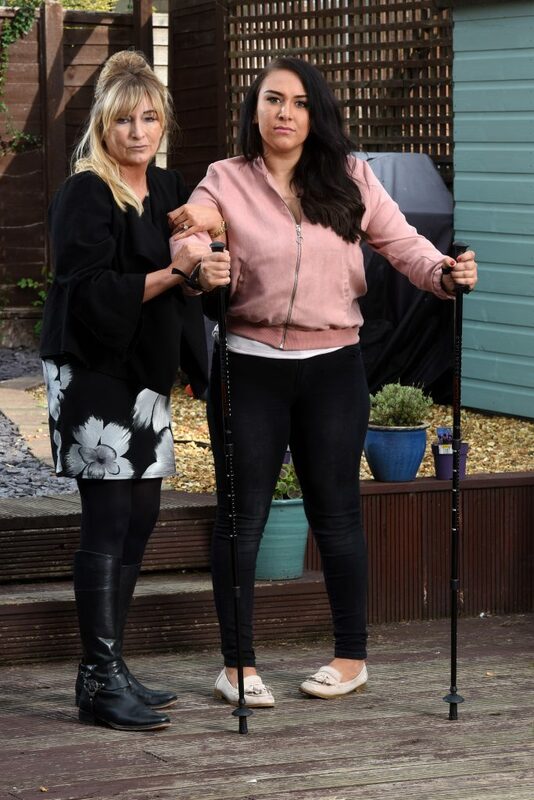 “I know I’ve got to live with the consequences of not being able to walk, but it’s not just me this has happened to, it’s my family too. 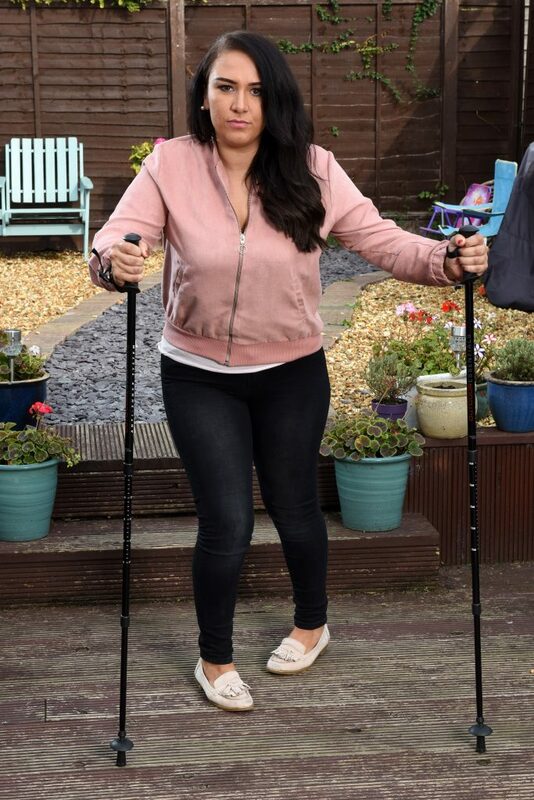 The former car saleswoman, from Bristol, relies on a wheelchair to get around, uses specially designed walking aids to help her stand, and takes a cocktail of FIVE nerve drugs a day, including a B12 supplement and medication used to treat epilepsy. 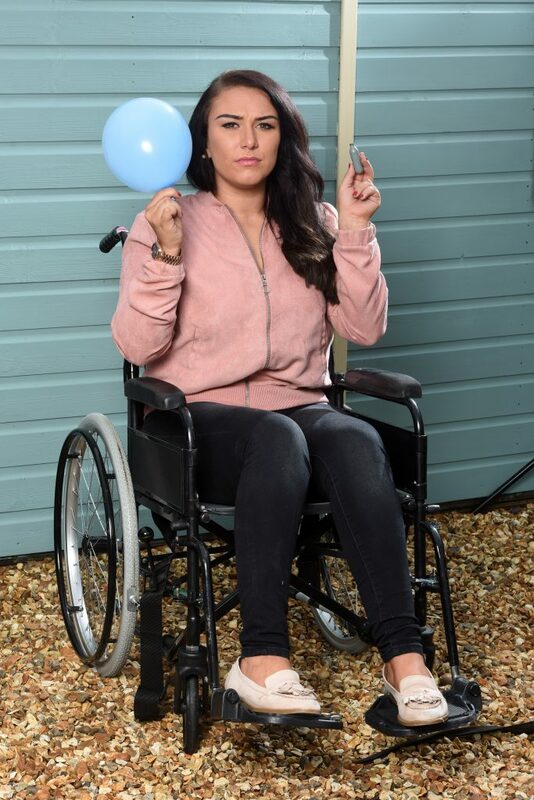 Now, Olivia, 24, wants to reveal the horrifying reality of taking nitrous oxide, known as ‘Laughing Gas’, which cost her her job, left her unable to play with her son, resulted in feelings of depression and anxiety, and has left her totally dependant on her sister to care for her. Olivia said: “I’ve not been out in public since being discharged from hospital because I’m scared. “I’m scared about crossing the road, scared of not being able to use my wheelchair properly because I have little feeling and control of my arms. “Taking Nitrous Oxide attacked the nerves in my body, causing a B12 deficiency and a block in my brain. “I get pins and needles all the time; constantly; it’s horrible. I’m on four nerve drugs a day to try and stop the sensation. “I can’t use my limbs properly at all. I’m not paralysed; in my head I know I need to move my limbs, but my brain is not connecting properly to the nerves. “The drugs ease the pain but not completely; I will wake up in the morning and I feel like my body is buzzing from the pins and needles. Despite leaving hospital last week (August 24th), doctors have been unable to say whether Olivia will ever be able to walk properly again. 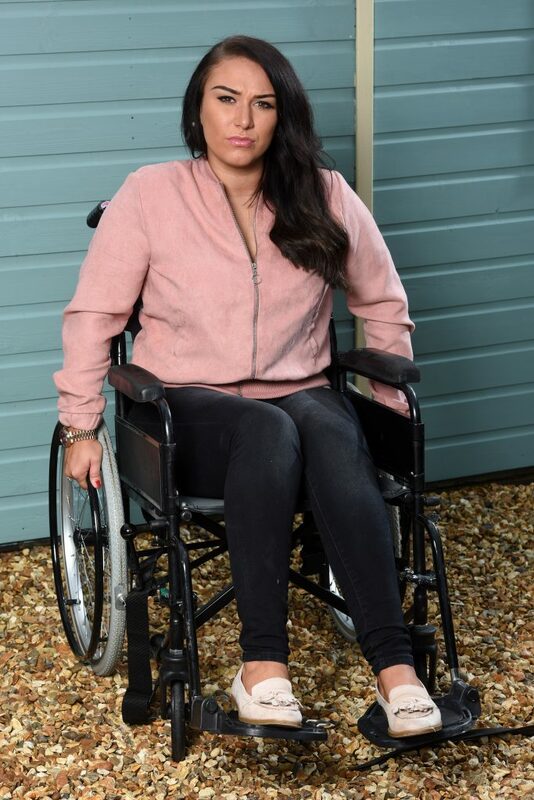 The mum of one, who admits to taking the drug at parties, and more recently, at Wireless Festival in July, was rushed to hospital on August 3rd after waking up unable to feel her legs. Doctors said the effects the drug have had on her nervous system have left her with a condition called Subacute Combined Degeneration of the Spinal Cord, or Lichtheim’s Disease. Olivia explained that had she known the consequences of taking Nitrous Oxide she would never have taken it in the first place. She said: “NOS is so easily accessible; it’s sold readily in shops, outside nightclubs and at festivals for £5 a balloon! “A lot of people think it’s like helium but it’s not. The high you get from it lasts ten seconds. “I can tell you it is not worth that ten second high! “This whole thing has left me devastated. Yes, it was stupid of me to take it, but I wish I’d known the consequences before I’d done it. After her hospitalisation, Olivia, who is mother to Parker, three, received death threats and negative comments from online trolls who questioned her fitness to be a mother. She said: “People have made me out to be a bad mother and I’m not. “I took NOS for the first time on holiday when I was 17. I took it at a nightclub earlier this year, and I had some at Wireless Festival in July. “Now people are treating me as if I bung my child off to his dads to go and get high every weekend; it’s not like that at all. “My relationship with Parker is amazing. 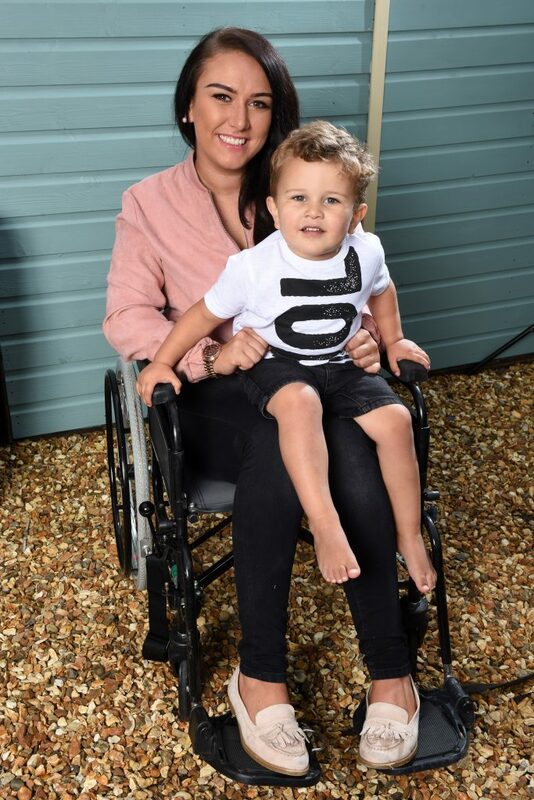 “He knows that his mummy can’t walk at the moment and it makes me feel sad when asks me when I’m going to be able to walk again. Olivia says that Nitrous Oxide, which is sold in canisters and can be bought online and in shops for as little £12.50 for a packet 24, should be treated the same as Class A drugs like Ecstasy and Cocaine. And the 24-year-old wants to use her traumatic experience and videos she’s made to help raise awareness about the effects of Nitrous Oxide. She said: “The dangers of this drug need to be highlighted. ‘I Taste Words’ – Bizarre condition causes student to taste different food overtime she hears words!